Introduced for the first time this year, daily guided visits are held on weekdays between 1 June and 31 August. 10 visits are organised every week at the times and in the languages indicated. 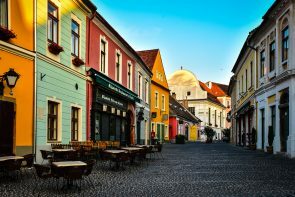 During this sightseeing tour, we take a stroll in the historic centre of Szentendre and walk up to the viewpoint on Donkey Hill, where, if requested, you can have a taste of the unique gastronomy of the town. Food-tasting must be booked 24 hours in advance! Hundreds of people take photos of the beauties of Szentendre every day. Our guide will help you find the most wonderful themes whether you’re in front of or behind the camera. 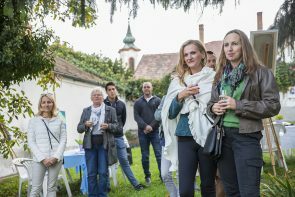 During the walk, you’ll have the opportunity to learn about the most important themes of visual arts in Szentendre and you can also find out how the town acquired the above denomination. 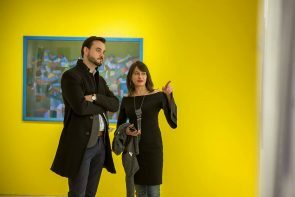 Optional offer: visit to the artist colony and/or the studio of a local artist subject to prior arrangement. 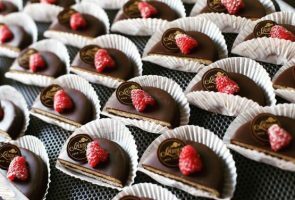 Visit the famous Marzipan Museum and have a coffee and a cake in Szamos Pastry Shop. Taste 5 different wines and 3 kinds of wine snacks, catching a glimpse of the unique gastronomy of Hungary. Wine tasting must be booked 24 hours in advance!